Sagittarius and Gemini are considered as an interesting combination of the fire and air elements. Both of two Zodiac signs’motion might be obviously seen in the elements that direct them. As you know, fire can’t completely exist without air. Do Sagittarius and Gemini get along? When mentioning a love relationship between both signs, it’s believed a wonderful match. They’re in harmony with each other. They easily and smoothly get through tough things that might happen in their life. While Gemini wants to have a mental freedom, Sagittarius wishes for physical independence. However, both of them are able to share the common things in life basically. They love sharing new experiences, feelings, and people. Moreover, they always want to take new adventures with each other. They have a tendency to move from one thing to another swiftly in order to enjoy all the terrific moments. If talking about Sagittarius and Gemini friendship, they’re truly great and awesome friends. They have a same point of view as well as possess a deep knowledge. And all are relied mainly on their enthusiasm and optimism. 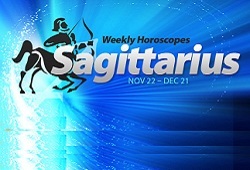 The Sagittarius-born, sometimes, discuss issues without thinking whether they might make anybody feel hurt or not. However, the Gemini-born is a person who can forget and forgive all quickly. Importantly, they rarely spend time on arguing. Next, we will discuss their elements. As we said above, the Sagittarius belongs to the Fire; meanwhile, the Gemini is the Air. It’s known as an active, passionate, and fiery relationship. The Air helps the Fire spread wide and far as well as keeping its power. Nonetheless, when something bad increases too much and affects each other’s feelings, everything will become worse. Although they might differ with each other, it doesn’t last for long. And after that, they will return to the normal state. Interestingly, both signs belong to the Mutable signs. So, they’re always in a ready stage, easy-to-adapt, and flexible in the excess. 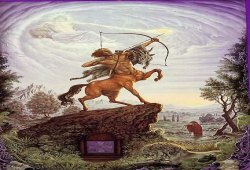 The Geminis often change their thought or ideas; however, the Sagittarius doesn’t feel annoyed about it. And when the Sagittarius decides to get a new journey, the Gemini will be willing to jump into the car and become the fellow-traveler right away. The Mercury (communication) rules the Gemini and the Jupiter (luck) controls the Sagittarius. The Gemini receives wise and garrulous manners from the Mercury; the Sagittarius takes philosophy and chance from the Jupiter. 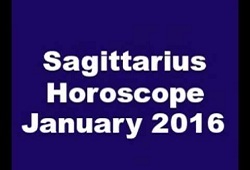 The Gemini-born will come up with new thoughts while the Sagittarius will be willing to discover all together. For any further information related to this post “Sagittarius And Gemini”, please contact with us via fulfilling a textbox below. We’re always here to help you. Previous Post: « What is a Horoscope Sign?